The best ideas and the latest techniques germinate at the Olympic Project expeditions. As we have reported before Olympic Project Expedition host, Derek Randles, offers a masterclass in Bigfoot research. Due to the rescheduling of a few attendees a few spots have opened up for next week's upcoming expedition. We can tell you from personal experience (we have been to four of these) that these expeditions are hosted and led with a team of experts who are attentive to all attendees. Even though the group of attendees differs during each weekend expedition, Derek and his team fosters the same environment of camaraderie. 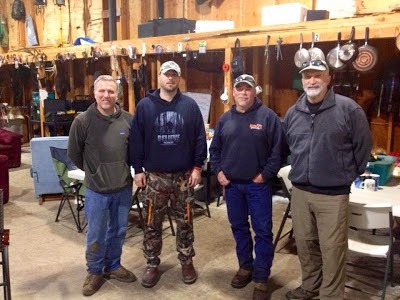 As we said earlier, with knowledgeable researchers like Derek Randles, Cliff Barackman and Dr. Jeff Meldrum, it is like a master class on the best techniques and newest ideas in Bigfoot research. These experts are approachable all weekend and are happy to field questions. If you have your own theories you want to share this is the best place to get feedback. More details on the Olympic Project as a Masterclass in Bigfooting. Make sure you email Derek and get in on next week's expedition! It is a rare treat to be among a limited amount of attendees who have access to these experts for a whole weekend. 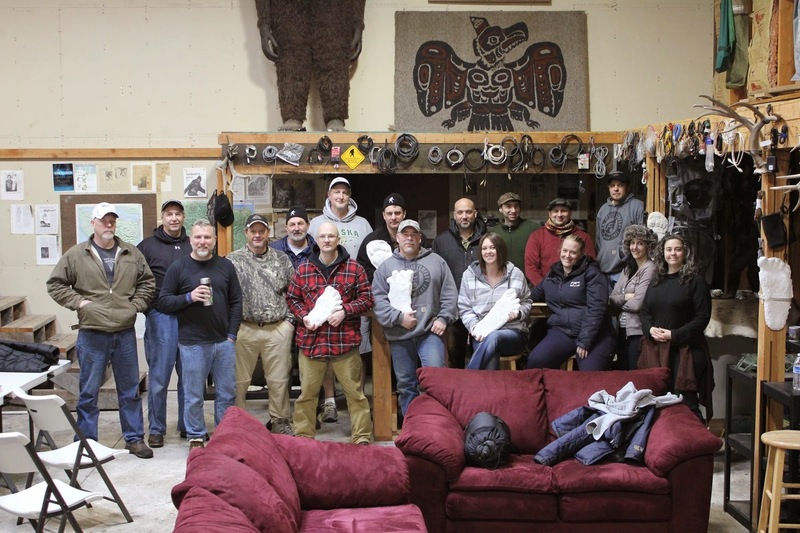 The March 2013 Olympic Project Expedition Attendees. Earlier this month Paul Graves presented to a sold-out crowd at Columbia Gorge Discovery Center. Many of the attendees reported to Bigfoot Lunch Club that the presentation was one of the most informative and unique Sasquatch presentation. Unfortunately we were not able to attend but the good news is Paul Graves will presenting again patties Home Plate Cafe this Saturday on March 8th at the Western Bigfoot Societies monthly meeting. The keynote guest speaker will be Bigfoot researcher Paul Graves. Paul will be speaking on the enigmatic stick structures the Bigfeet make, illustrating with numerous slides. There will be examples of weaving, loops, bows, mini-teepees, and more. 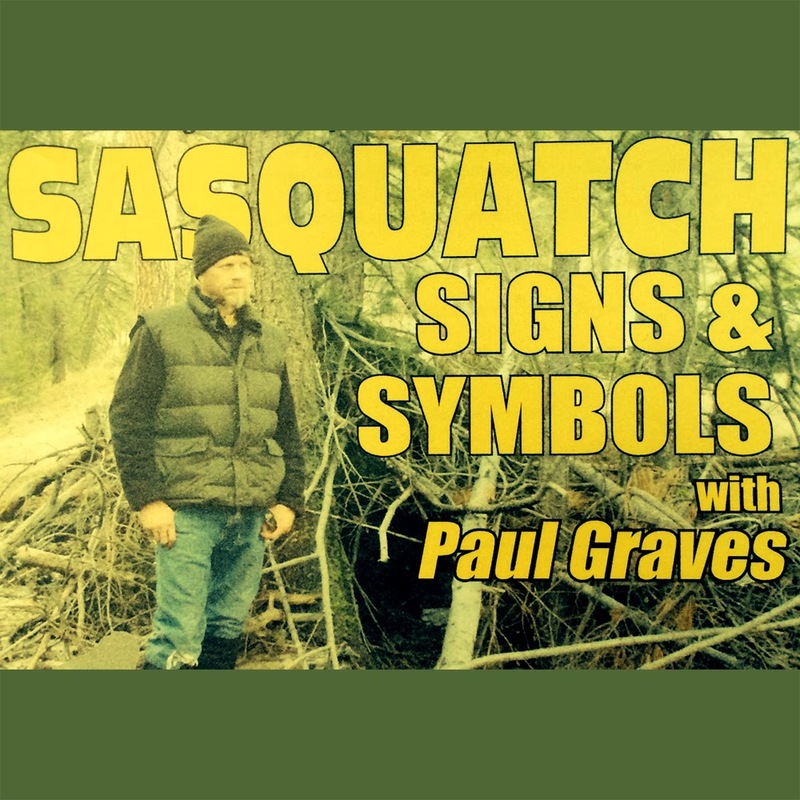 Paul Graves is a long time sasquatch researcher from Wenatchee, WA who investigates the subject throughout Washington and the Pacific Northwest. He is a lifelong, avid outdoorsman who grew up at the base of the eastern Washington Cascade Mountains. He has been researching sasquatch sightings and searching for evidence since 1988. Paul has been fortunate to have grown up in a geographically rich area with a history of sightings among the local residents and also local Native Americans whose experiences go back 300 years. “Choanito “ is the Wenatchee Indian name for the sasquatch that means “Night People”. He has collected a large amount of evidence that supports the existence of the sasquatch. This includes hundreds of eyewitness accounts, track casts & photographs, audio recordings and other possible relative evidence. He has also had two brief sightings. Paul knows and has worked with scientists, wildlife biologists, and other sasquatch researchers while investigating this phenomenon. He also does a lot of his field research by himself. Paul has shared his knowledge in appearances on a number of TV and a radio shows including, Seattle’s KOMO TV Northwest Afternoon. He has also assisted with or appeared in three History Channel episodes of Monster Quest and shows on A&E, Animal Planet and National Geographic. Meeting place will be at the Home Plate Cafe, 8501 North Lombard, Oregon, 97203. 503-285-5507, cell 503-757-3132, owner and host Patty Deitz. Lombard is off I-5 almost before reaching Vancouver, WA, from Portland, then 4 miles west. Meeting time is 6 pm for socializing (and Patty appreciates it if you order something to eat). The speaker will start at 7 and close at 9. No admission or other charge.